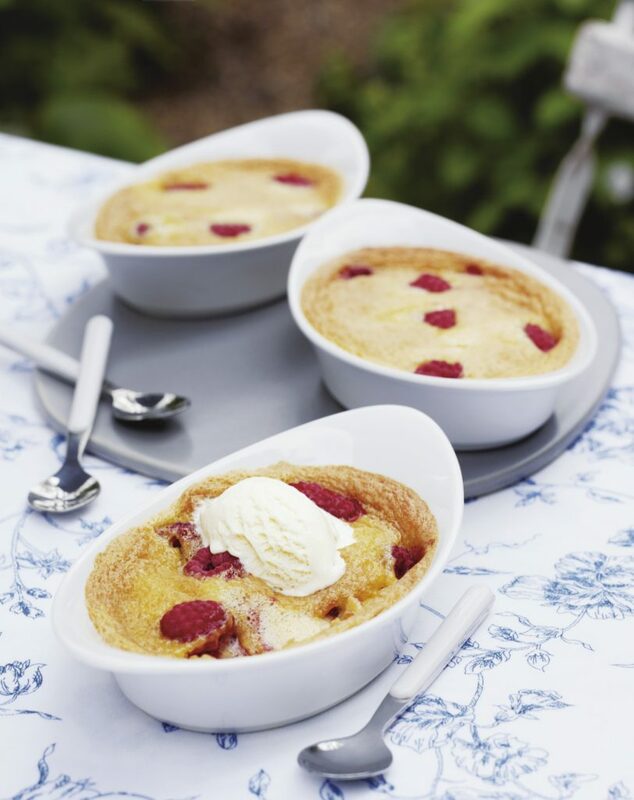 For our latest raspberry dessert recipe, we couldn’t help but share this particular delight! 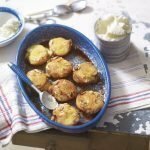 It’s a light and fluffy summer dessert that’ll be a perfect accompaniment to the risotto recipe we shared earlier and a certainty to go down a treat! Preheat the oven to 180°C, gas mark 4. Using an electric whisk, beat the eggs and sugar together for 5 minutes or until the mixture is pale and thick enough to leave a trail. Lightly whisk in the flour and almonds. 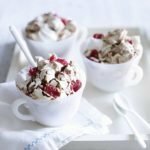 In a separate bowl, whip the cream until it forms soft peaks. Using a large metal spoon, carefully fold it into the egg mixture. Pour the batter into 4 x 250ml shallow ovenproof dishes and gently scatter over the raspberries – they will mostly sink beneath the surface, but this is fine. Bake for 15-18 minutes or until set and golden – make sure the centres are firm. Serve warm with scoops of Waitrose Madagascan Vanilla Ice Cream. Make one large clafouti in a 1.5-litre dish, if you prefer. Cook for 25-30 minutes. Try with other soft fruits such as blackberries.